EXTRA-LARGE 16 IN TIRES: The wide surface area and the squared-off deep lugs of the extra-large 16" tires aggressively dig down to the sub-surface in deep snow for the best possible traction. LARGE 14 IN SERRATED AUGER: Extra-large auger is designed to chew through the tough, compact snow. 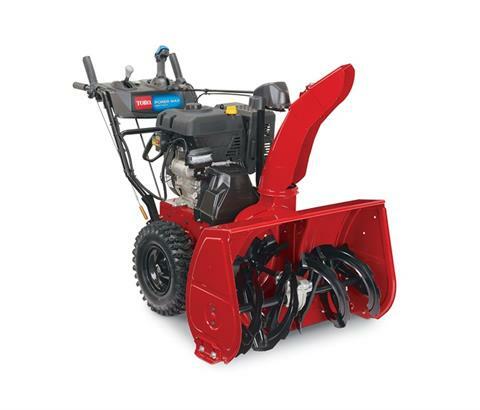 Powered by a Toro Premium 302cc OHV 4-cycle engine, it's ideal for concrete, asphalt or gravel surfaces that can park 6+ cars and handle 6+" (15+ cm) of snow at a time.